While sorting through my lush collection, I came across some products from the 2014 Christmas range that I had obviously been keeping for a rainy day and them forgot I even had. Although I am a little gutted I forgot I had these products it does go to show that if stored correctly lush product can stay pretty fresh for a good few years. 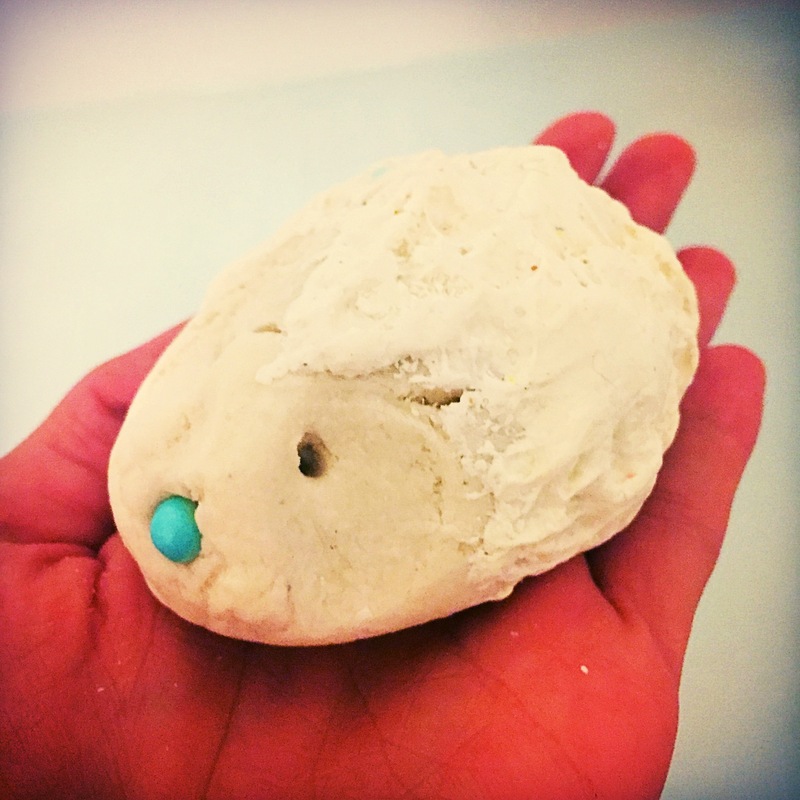 The Christmas Hedgehog bubble bar was released back in 2014 and only made an appearance for the one Christmas. The Christmas Hedgehog is a super cute design. 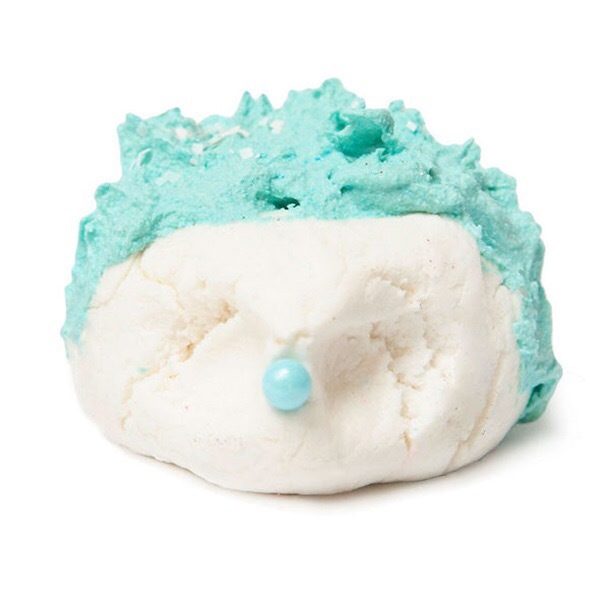 Shaped like a tiny little snowy hedged this little bubble bar is sure to make any one who owns him smile. The original colour of this bubble bar was white with a like blue detailing (see picture below), as you can see however after a couple of years of being stuck in a box this tiny hedgehog has lost a lot of his colour. I absolute adore lushes ability to create such wonderfully cute items and I think this hedgehog fitted into the Christmas collection beautifully. Scent wise the Christmas Hedgehog defiantly wasn’t what I was expecting, although I’m not actually sure what I was expecting its scent to be. Featuring Brazilian orange oil, lavender oil, rose absolute and ylang ylang oil this bubble bar is a mixture of both floral and fruity. It is quite an unusual scent and one that I have really noticed on a lush product I have tried before. I would defiantly say this is quite a subdued scent and defiantly doesn’t have one ingredient that overpowers giving the scent very calming and relaxing effect. 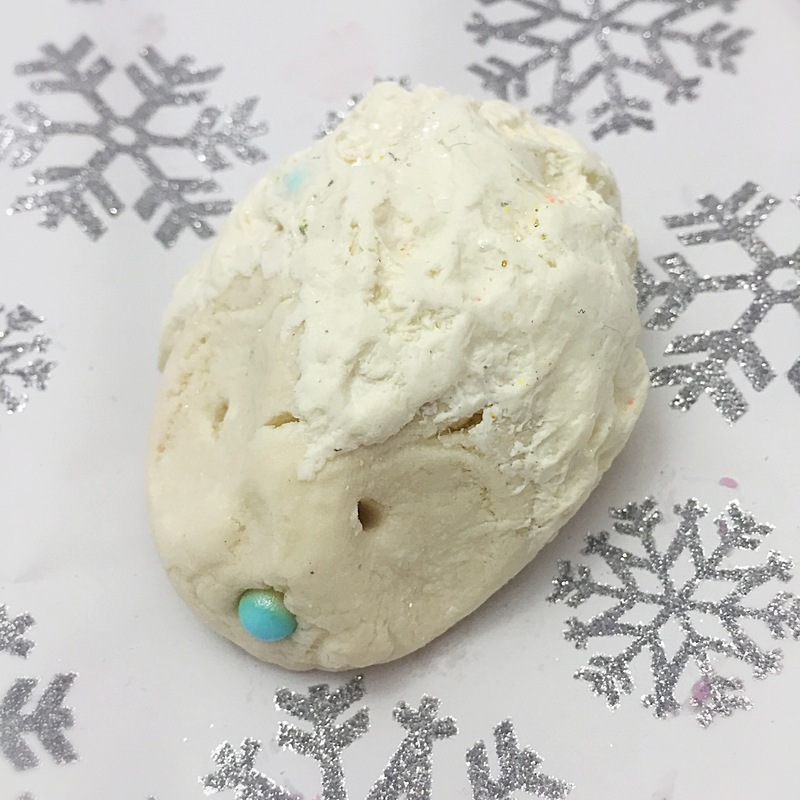 This Christmas Hedgehog also contains a good helping of cocoa butter and Shea butter making this bubble bar extremely moisturising. The outer layer of this hedgehog is made from these butters creating an almost bath melt affect. I found this made the water and bubble to be very softening. The Christmas Hedgehog isn’t the largest of bubbles bars so you would probably only really get two baths out of it. However it did create a very generous amount of bubble and I was also surprised to find it gave the water a slight blue colour which looked very pretty. Overall I’m really glad I found this little Christmas Hedgehog bubble bar hibernating in my lush box and enjoyed trying it out again. I love that it is an almost bubble bar bath melt hybrid and would love lush to create some more bubble bars with this concept. INGREDIENTS : Sodium Bicarbonate, Cream of Tartar, Sodium Laureth Sulfate, Fair Trade Organic Cocoa Butter, Lauryl Betaine, Cornflour, Organic Shea Butter, Perfume, Lavender Oil, Rose Absolute, Ylang Ylang Oil, Brazilian Orange Oil, Citric Acid, Titanium Dioxide, Laureth 4, Geraniol, Farnesol, Benzyl Salicylate, Benzyl Benzoate, Limonene, Linalool, Colour 42090, Snowflake Lustre, Blue shimmer bead, Geopearl crystal glittering rainbow, Sprayfilm, White Edible Stars.